There are experiences in life that are so incredible, words and photos can never be enough to describe them. 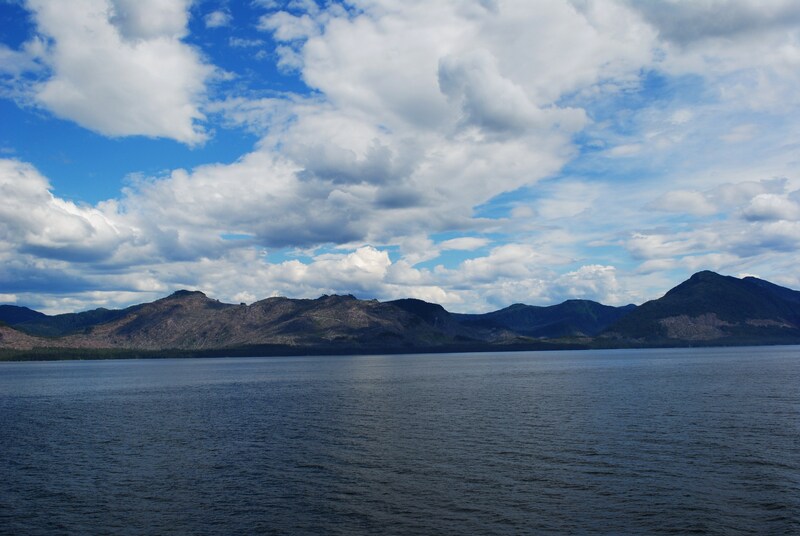 Waking up on the desk of an Alaska Marine Highway ferry, surrounded by some of the most beautiful scenery in the world, I felt so privileged. The decision to take the ferry had not been an obvious one for me. Until I’d started researching my trip, I didn’t even know the ferry existed. I’d never considered how remote many parts of Alaska are, and how the people who live there get around. 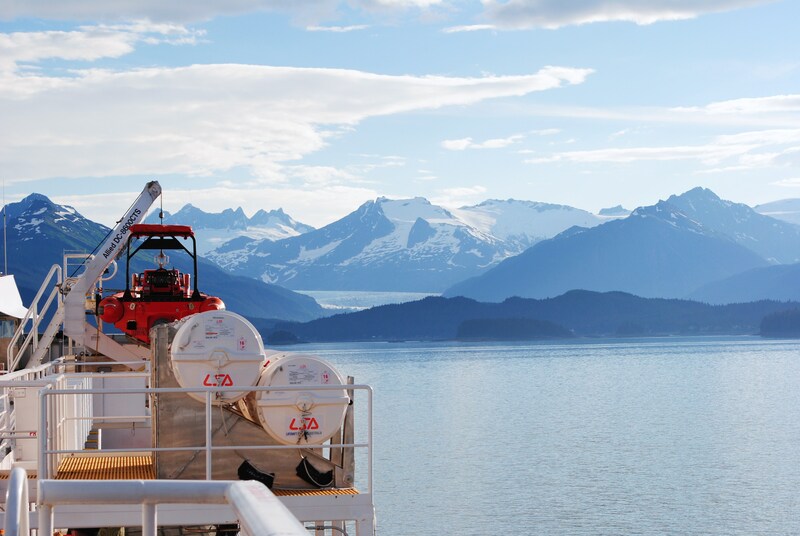 All I knew was I had two weeks to get from San Francisco to Anchorage, and I wanted to see as many new destinations along the way as possible. Planning the trip wasn’t easy, but after weeks of tearing my hair out in front of my computer it slowly came together. 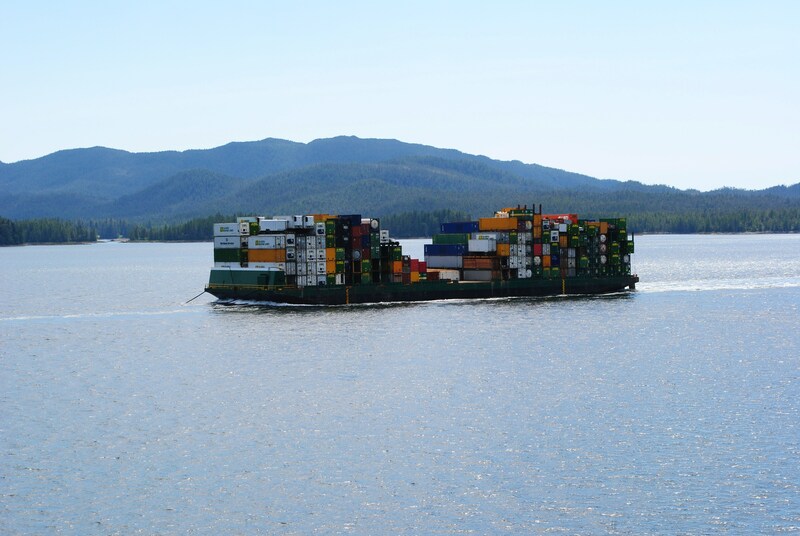 The Alaska Marine Highway System runs from Bellingham, WA up into Alaska. 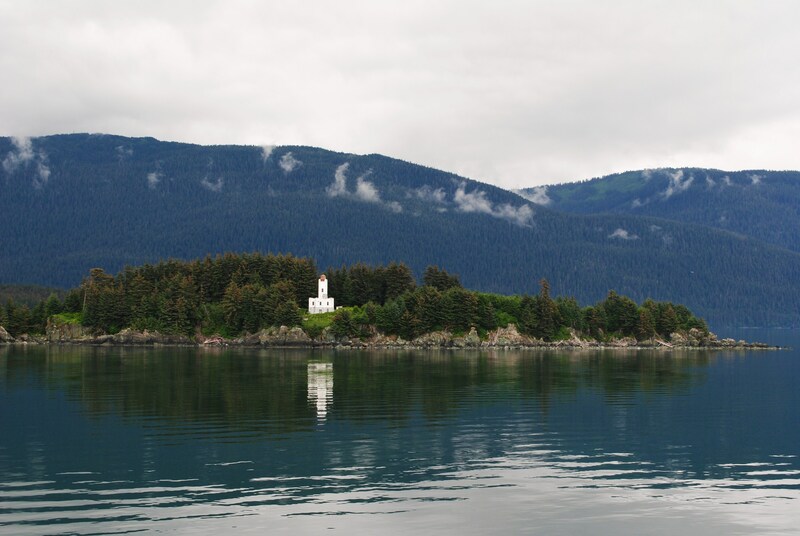 They operate ferries right the way out to the Aleutian Islands, with many stops along the way to service towns and villages where travel options are limited. The portion of the route that I opted for, from Bellingham to Haines, takes almost 3 days. 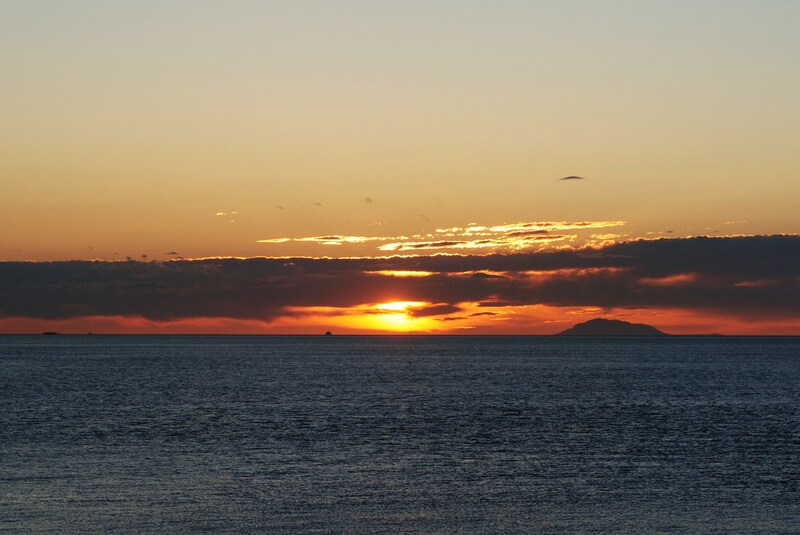 The longest ferry journey I had taken previously was Rhodes to Crete in Greece. It had not been a pleasant experience. Needless to say, I was apprehensive about going on a much longer boat trip. 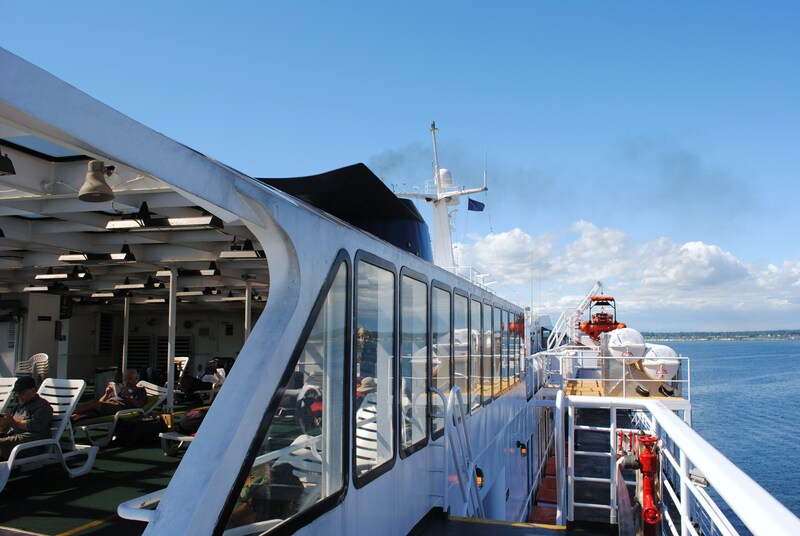 My worries were not calmed when we arrived at the terminal in Bellingham and I discovered the ferry was no bigger than the cross-channel ferries I had travelled on between England and France as a child. We were sailing all the way on that? I need not have worried. 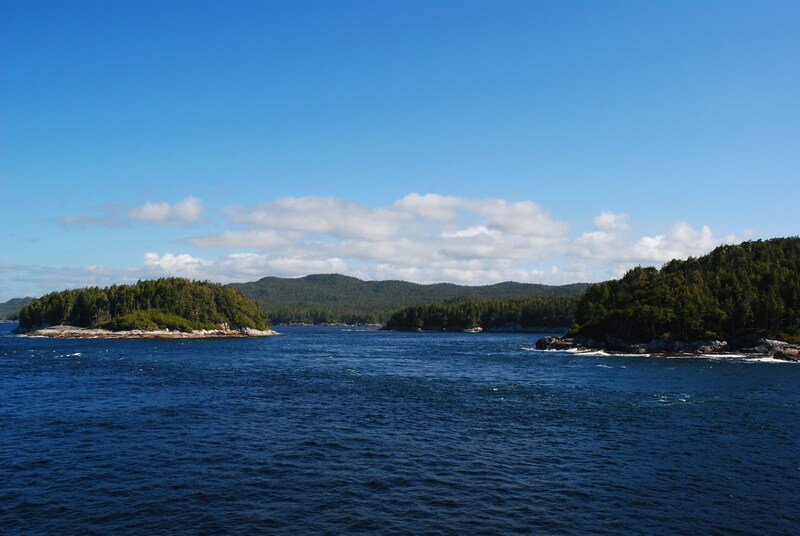 Apart from two bumpy hours where we passed through open water, it was the most gentle water I have ever travelled on. Ticket prices vary greatly depending on how you travel. I paid $419 to walk on, as basic as you can get. If you’re travelling with an RV, two cats, a dog, three kids and you want to sleep in a cabin, it can get a whole lot more expensive. 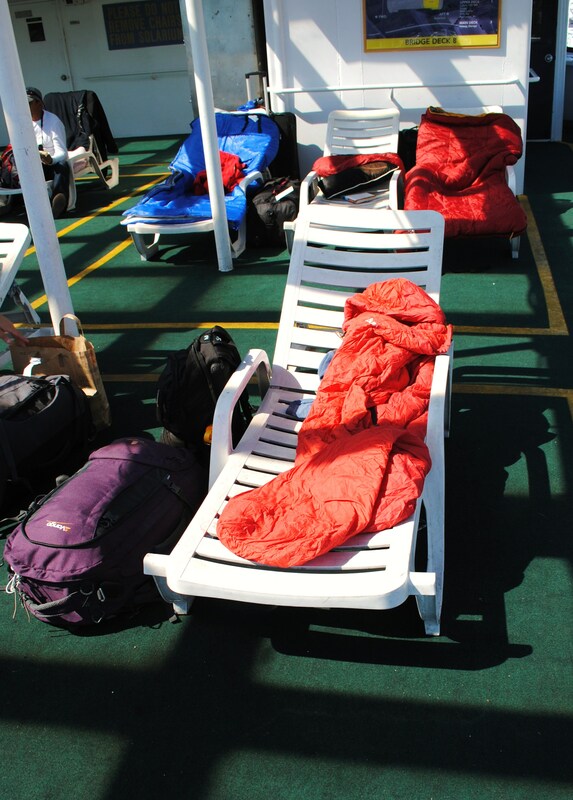 I opted to sleep on the top deck of the boat, under the solarium. I didn’t want to miss anything. 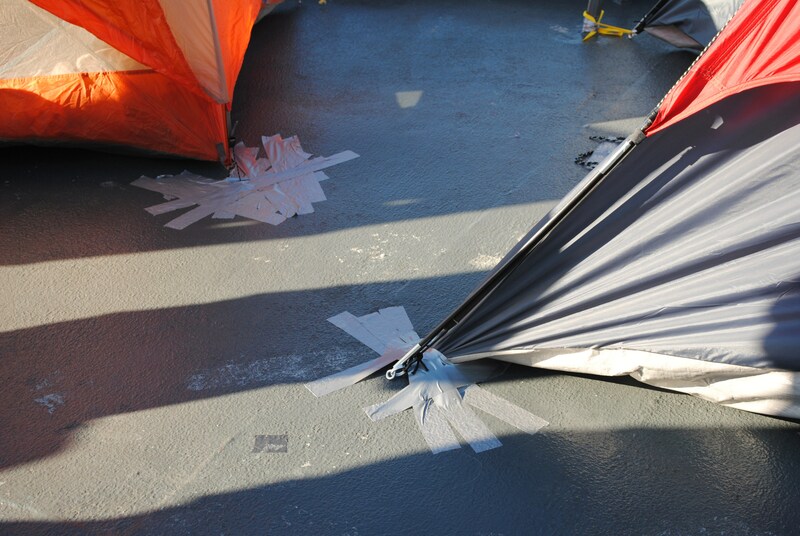 Some passengers chose to pitch their tents out on the deck, anchoring them down with duct tape. During the first night, the constant flapping of the tent canvases sounded loud to those of us sleeping outside. God knows what it sounded like from inside the tent. 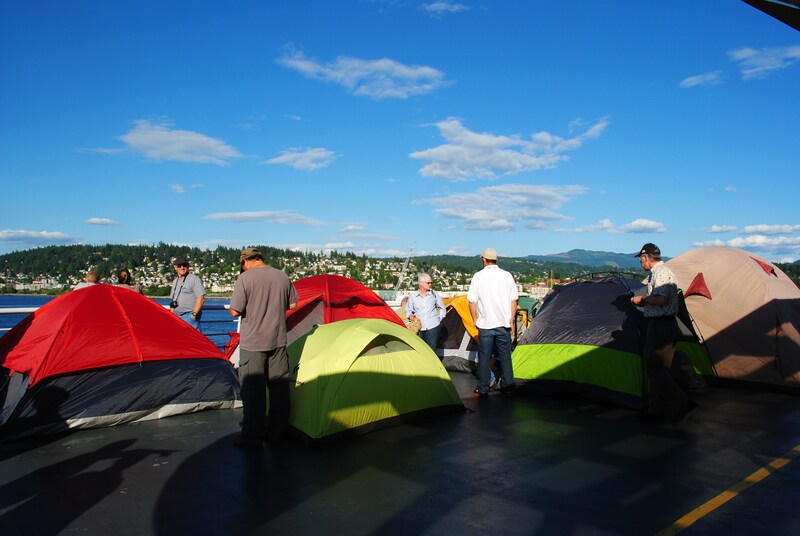 By the next day, only 3 of the tents remained standing. From what I could see, the trick was to not put your fly sheet on the tent (that’s what all the flapping was) and invest in illuminous pink duct tape (it seemed to hold better than the regular black stuff). Personally, I think pitching a tent wasn’t worth the effort. I was comfortable enough on my recliner chair. My only regret was that I didn’t pick up a sleeping mat in Seattle. Outdoor heaters kept us warm from above, but a draught crept in underneath my sleeping bag which woke me up a couple of times. On the second day, a kind fellow passenger lent me one of his spare towels to lie on and I slept soundly after that. 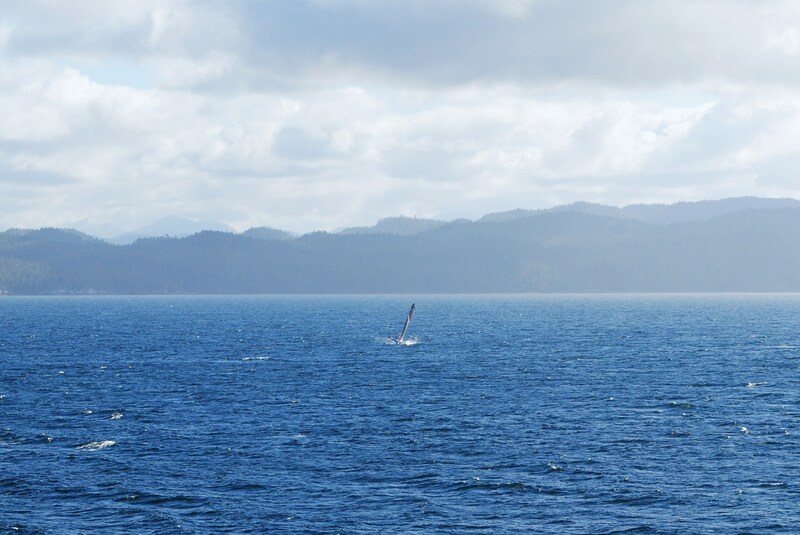 On the first morning, we awoke to an announcement at 6am that there were humpback whales swimming alongside the boat. We all jumped up with binoculars and cameras, and ran to the side and a sea view that some people pay thousands of pounds for. 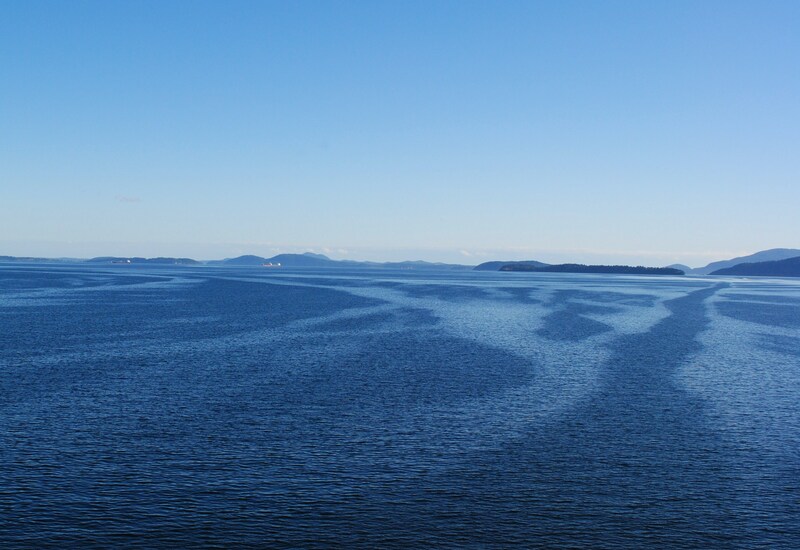 I took lot of photos as the ferry wound it’s way between islands. 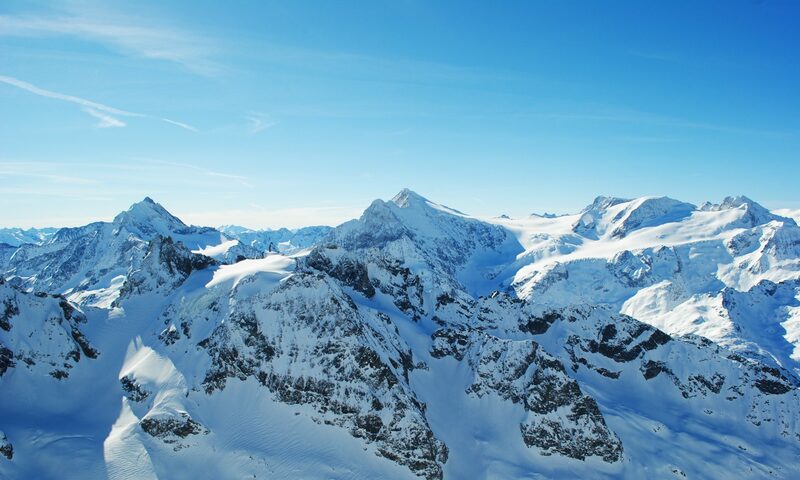 The scenery was just breathtaking, the mountains around us getting higher and higher as we travelled further north. As well as the humpback whales (one of which jumped right next to the boat), we saw orcas, dolphins, deer and bald eagles. 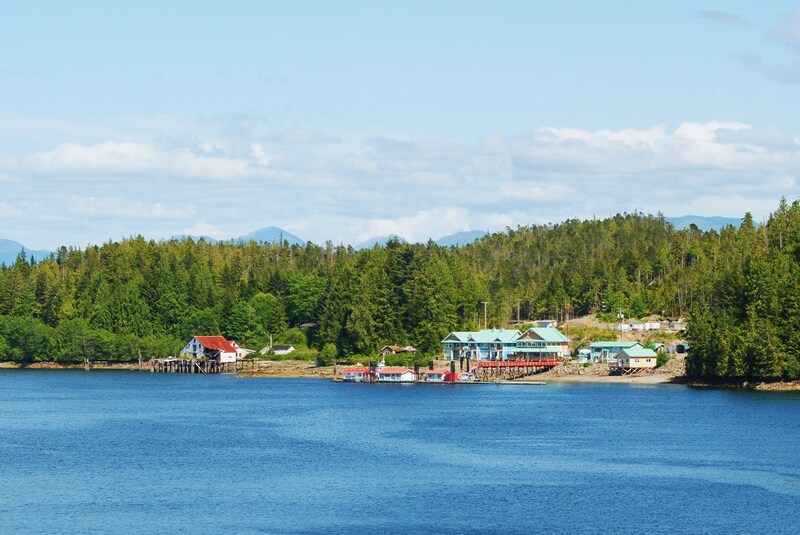 Our first stop in Alaska was Ketchikan, which I will write a separate post about later. 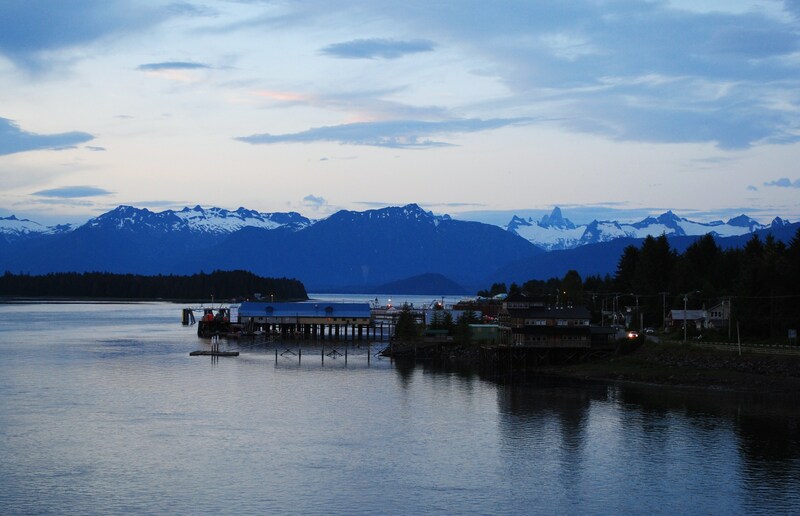 Then, we headed up to Wrangell, the first settlement that we’d seen in hours. 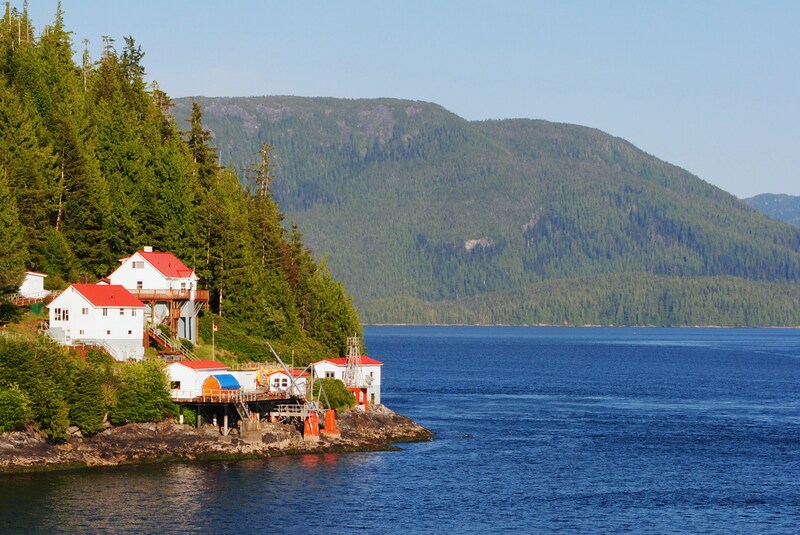 As well as the ferry, one cruise ship a week stops in Wrangell. As we pulled up to the dock, a young boy set up a table next to the ferry terminal. He was selling gems and rocks that he and his sister had found in a local quarry. For a couple of hours work a week, he could pay his way through school. We wondered if, when the cruise ship passengers arrived, the price for the souvenirs went up and the story of how they mined the stones got more elaborate. 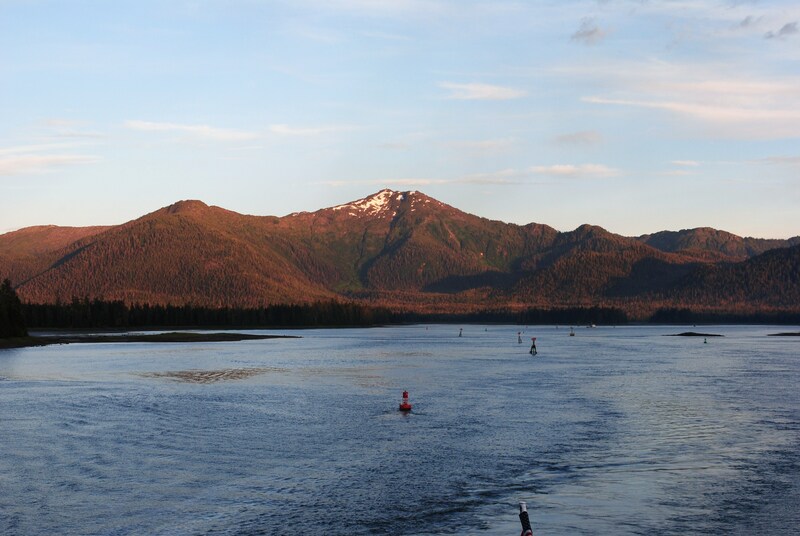 From Wrangell, we headed north through Wrangell Narrows, a 22 mile channel with 46 turns. At some points, the channel is only 300ft wide and 19ft deep (hence the small ferry!). It has two local nicknames – ‘Pinball Alley’ (because of the turns) and ‘Christmas Tree Lane’ (because of all the red and green navigational lights). 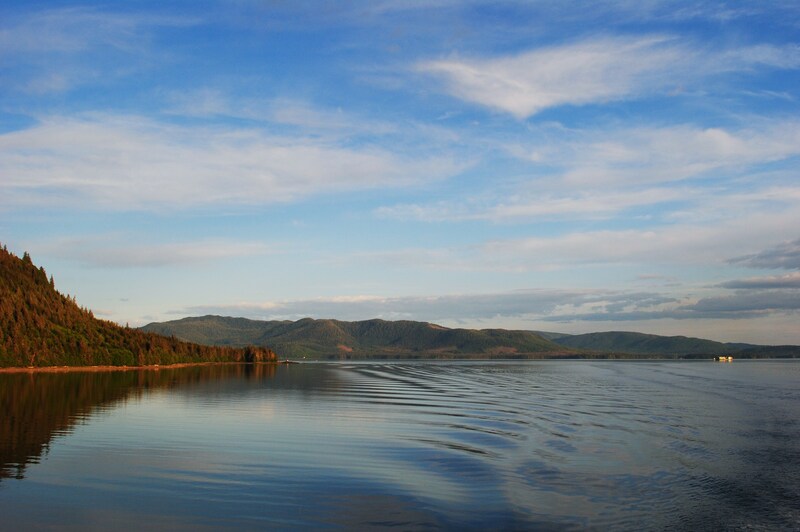 It was 10pm by the time we reached our next stop, Petersburg, but it was still very light outside. We watched bald eagles playing on the beach and sitting in trees, surveying their empire and looking back at us. As at every stop we made, pet owners went down to the car deck to retrieve their pets and take them for a quick walk. I felt sorry for the animals having to stay down there for 3 days with only the occasional teasing taste of the outdoors. By this point, I had made a lot of new friends on the boat. 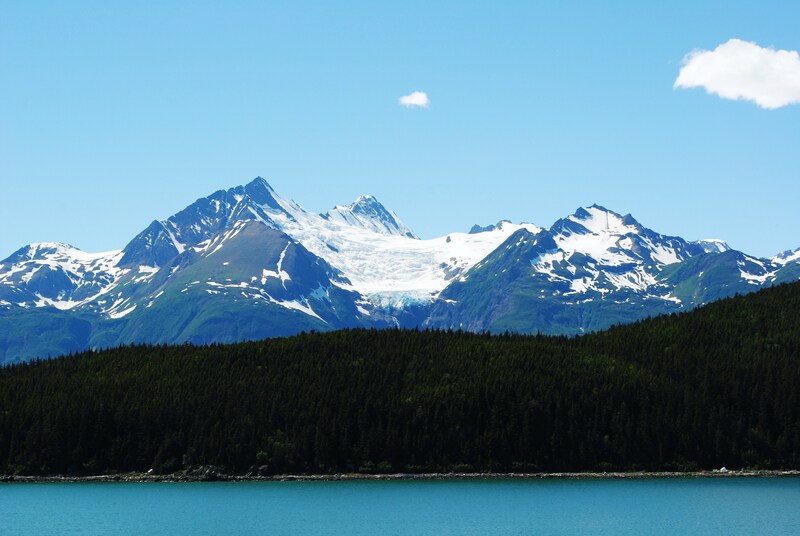 Some were heading to Alaska to find work, or returning home. 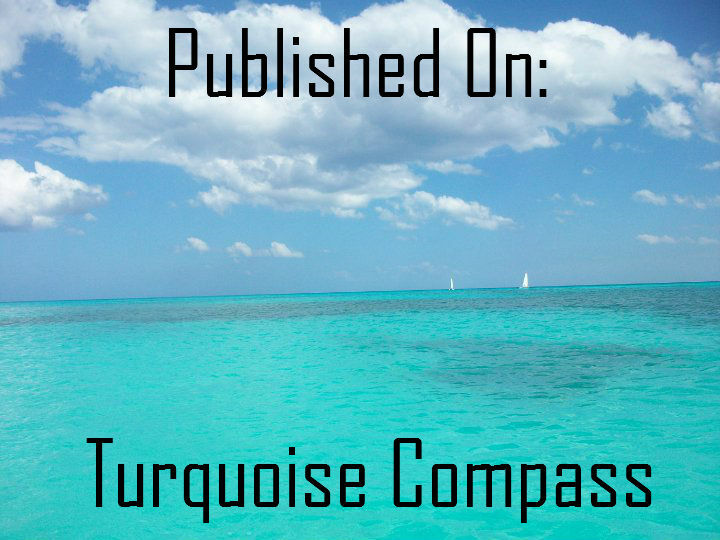 Others, like me, were simply vacationing or travelling. We all swapped stories about our hometowns and our travels. When people found out I’m British, they had lots of questions about various subjects. I had countless conversations about politics, religion, geography and sport. It was exhausting but a lot of fun. 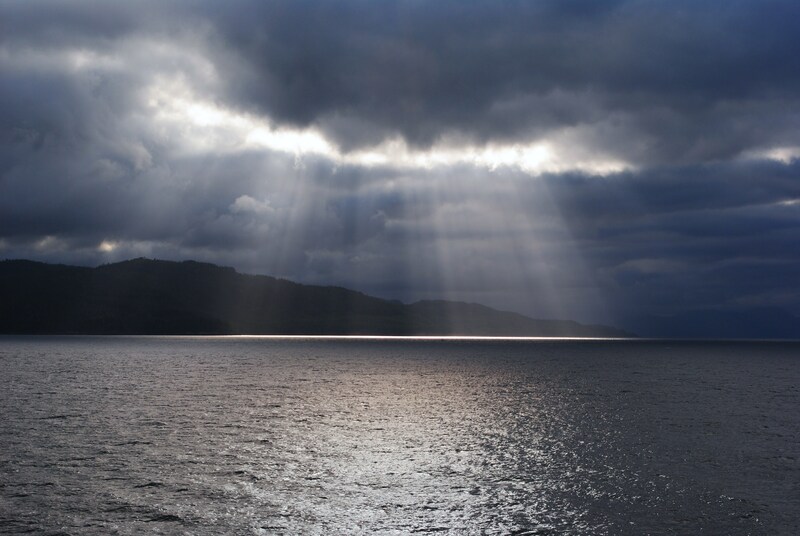 I had feared I would get bored on the ferry for so long, but the time flew by. 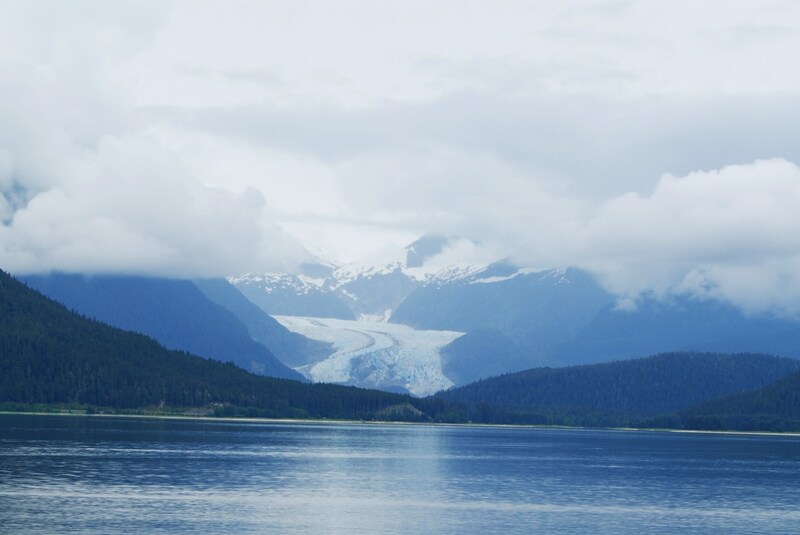 At 8 am on the third day of our journey we pulled into Juneau, the only state capital in America that cannot be reached by land. Most of the people I had travelled with for the past three days left the boat there, and I was sad to see them go. When I had booked my ticket, there was some confusion over the route the boat would take. I heard other people complaining of the same thing, so it’s advisable to double check at the terminal before you board. I’d been sold a ticket where I would have to change boats at Juneau. 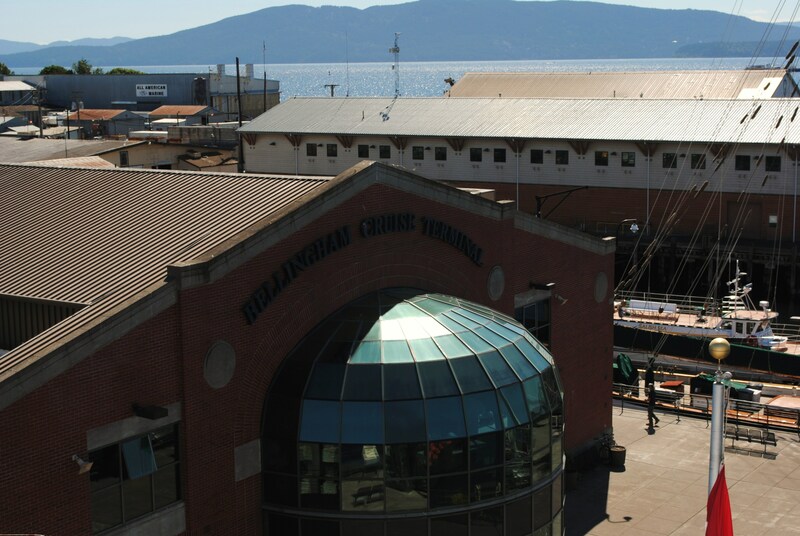 As I boarded the boat in Bellingham, though, I was told the same boat would take me up to Haines. 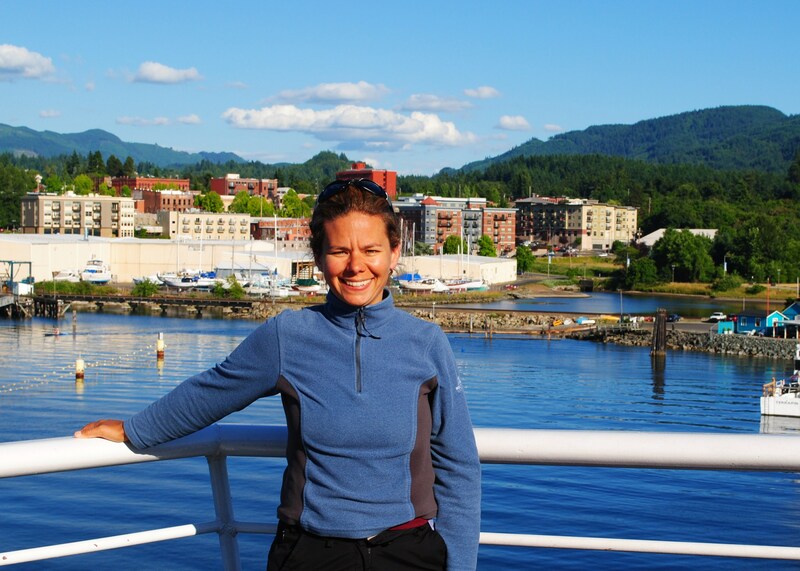 It was a bonus not to change boats, but I was a little nervous that I might end up in Sitka or somewhere further north. A whole new group of people joined us at Juneau, and gave the boat a new feel. 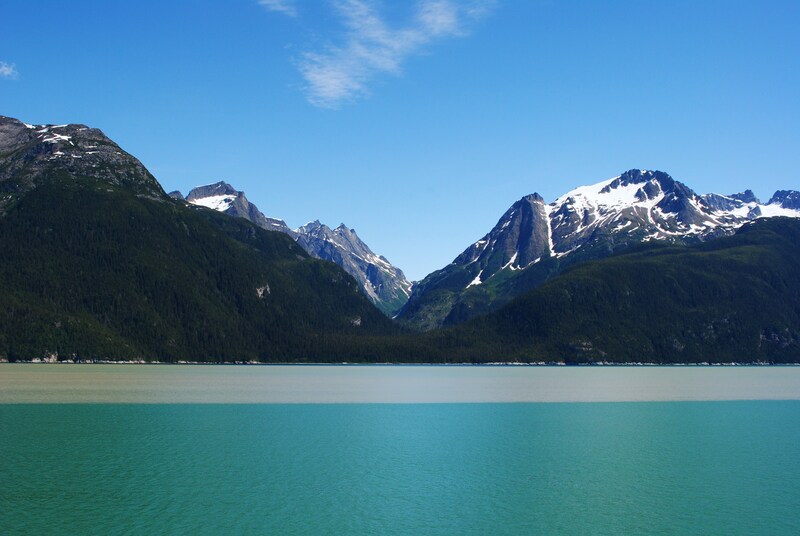 It was more like a day cruise now, with only four hours to Haines and the remaining passengers going the short distance to the end of the line at Skagway. By this point, most of the mountains surrounding us were topped with snow, although the sun still beat down on us and kept us warm. 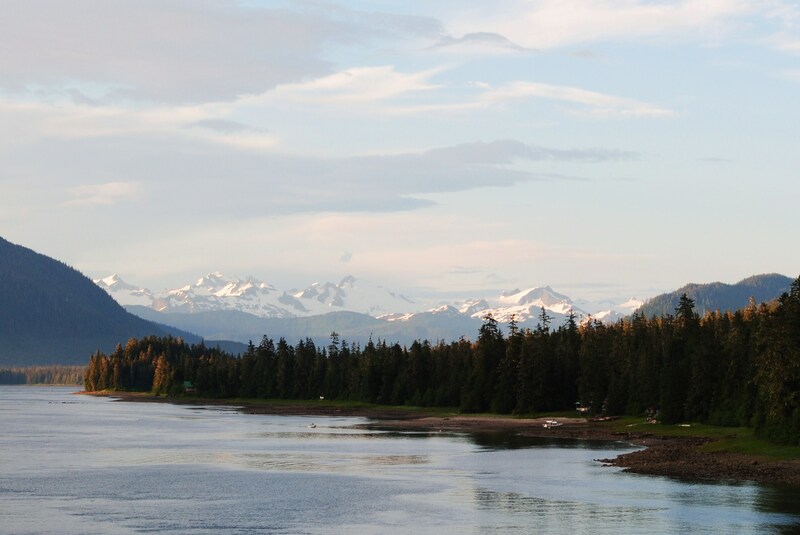 Taking the Alaska Marine Highway ferry is one of the best decisions I have ever made. I just wish I could have stayed on longer.